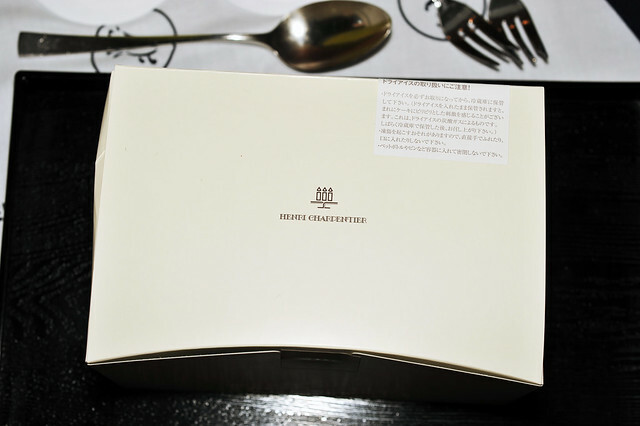 Like the others, we took away our wares as these were from the depachika in Takashimaya located in Kawaramachi-Shijo, downtown Kyoto, a small but decent selection of mignardises comprising of financiers and macarons, as well as a petit gateau. 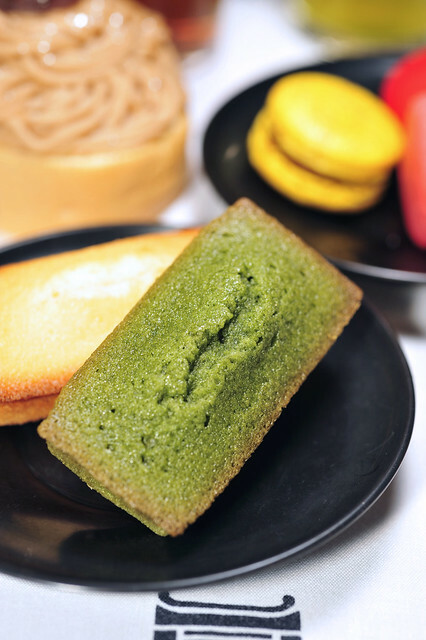 financier au thé vert matcha aka matcha financier. really fragrant, using premium matcha from Uji Kyoto, not too far from where we were. The use of matcha is really generous to the extent of one being able to taste a slight tinge of bitterness from the green tea used, which provided really good balance against the sweetness. 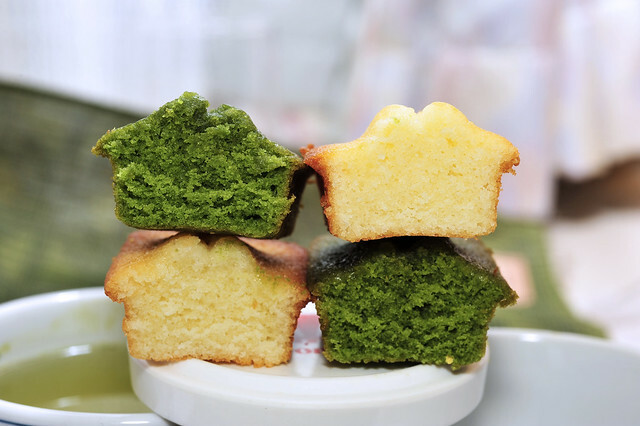 I aspire my matcha financiers to be like theirs! 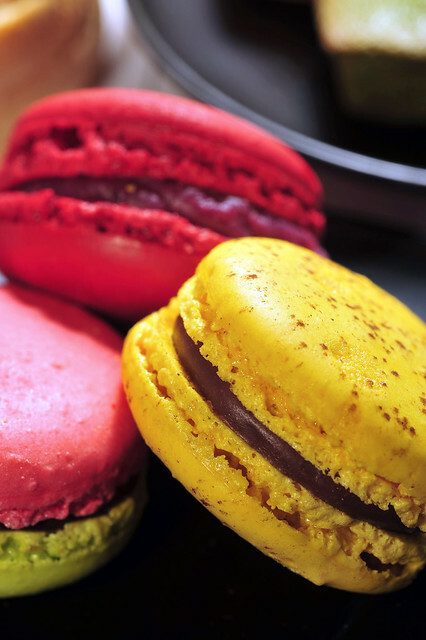 Macarons trio – fruit de la passion et chocolat au lait (passionfruit and milk chocolate – yellow with cocoa speckles), rhubarbe et fraise (rhubarb and strawberry – green and pink) and cerise (cherry- red). The name tags were all in Japanese but thankfully we’d gotten the flavours sorted out through a conversation using a smattering of Japanese and English with the store manager. He was a very helpful man, like most of the Japanese we’d encountered, tried very hard to translate the names of their wares and the ingredients used to English for me. But it seemed that he knew more French than English! 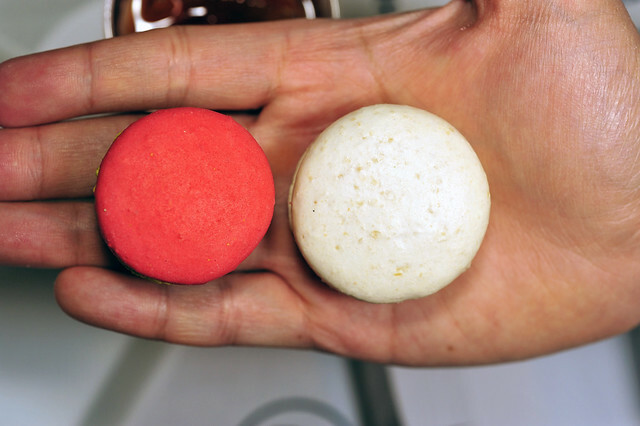 The funniest part was when he tried to describe the rhubarb and strawberry macaron and used “fraise” for strawberries and I replied “ichigo?” when he let out a huge sigh of relief with a highly enthusiastic “Yes-si, Yes-si!! !” Totally hilarious! A comparison of size with those we got from Patisserie Alcyon, the ones from PHC were a tad smaller but in no way inferior! 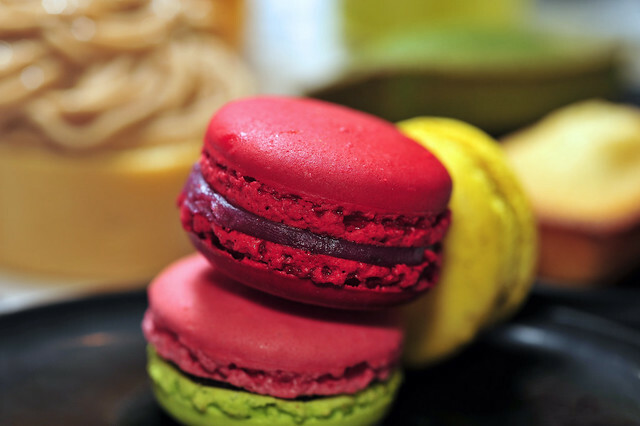 Macaron Fruit a la Passion et Chocolat au lait- a remake of Pierre Herme’s famous Macaron Mogador. 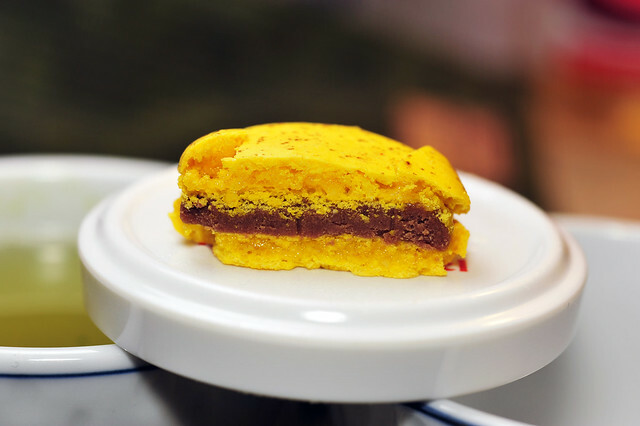 I’d not tried PH’s famous macaron but PHC’s was rendition was really good, wonderfully aromatic and delightfully tart from the passionfruit infused in the milk chocolate ganache. This combination works really well. 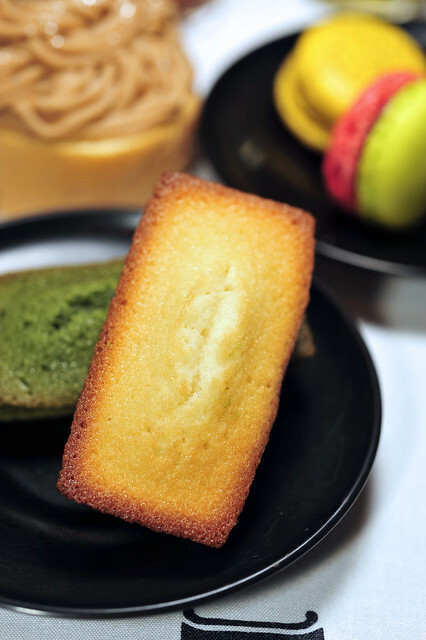 Slicing up the financiers – intense emerald green from the matcha flavoured ones against those in creamy yellow from the “plain” ones à la traditionale. 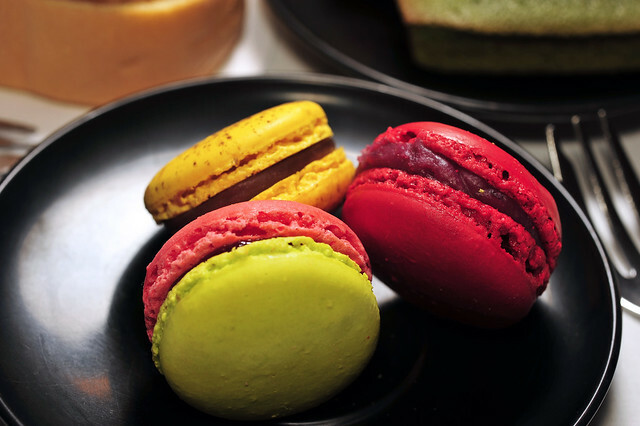 Interestingly, the cherry flavoured macaron, despite its ablazing rouge appearance, was the least impressionable. 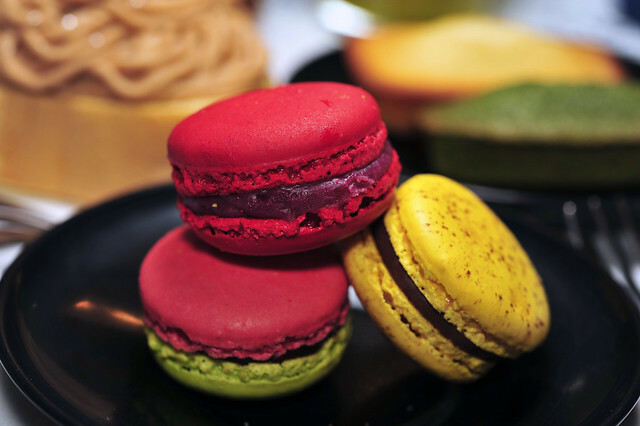 All the shells were beautifully crafted via macarons au sucre cuit (Italian meringue) method. Very consistent results indeed. Perhaps its time for me to convert! Patissiers and patisseries, to me, should be of quality, but yet approachable. And I think PHC seems to have somewhat balanced that somehow. 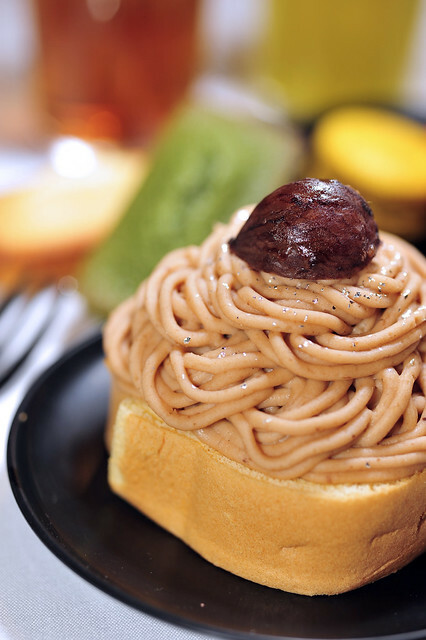 This entry was posted on July 9, 2011 by Alan (travellingfoodies). 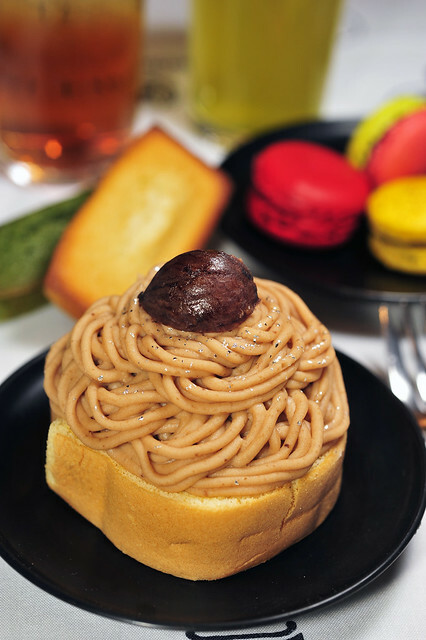 It was filed under Food, Travel and was tagged with cake, cherry macaron, chestnut, 銀のモンブラン, financier au beurre, financier au thé vert matcha, gateaux, Henri Charpentier, Japan, kansai, Kyoto, macaron cerise, macaron fruit de la passion et chocolat, macaron magador, macaron rhubarbe et fraise, macha financier, marron, mignardises, Mont Blanc d' Argent, passionfruit and chocolate macaron, pâtisserie, petit four, rhubarb and strawberry macaron, Takashimaya, 日本, 京都. 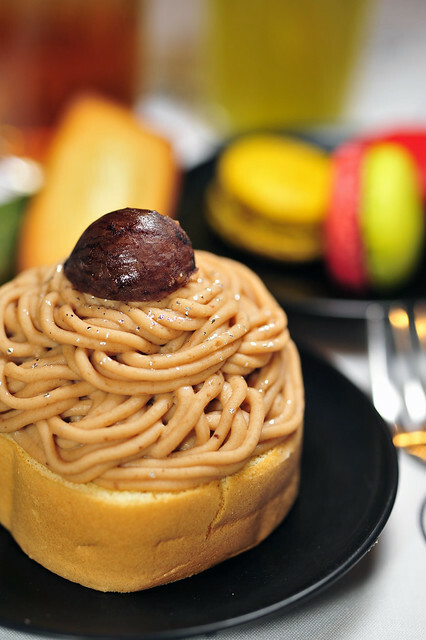 if i have to chance to visit japan one day, i will definately go thru all your japan tavel posts and take notes! Every dessert and the food that you put up here is making me go wild! !